Dry eye syndrome is a common medical condition that occurs when the eyes cannot produce enough tears. Dry eye is fairly prevalent among the population, especially among older people above the age 40. Below are frequently asked questions about dry eye syndromes? Dryness, irritation, itchiness, stinging, and burning are the typical sensation of dry eyes. Other symptoms include redness, pressure, pain, and tiredness of the eyes. Sometimes a stringy discharge may appear. The symptoms of this condition can worsen with certain activities like prolonged reading, driving, or staring at digital screens. Certain environments, like smoky or windy areas, can agitate dry eye syndrome. Humid environments can provide relief to dry eye syndrome. How severe is dry eye syndrome? While dry eye syndrome is often a short-term irritation, the condition can become more severe if left untreated. It can also be a sign of a bigger underlying condition. Sometimes dry eyes are associated with eye damage or even impaired vision. Without enough teardrops for surface protection, your eyes are at a higher risk of getting an eye infection. Medical experts recommend that you seek treatment for dry eyes to better improve your quality of life. What are some common causes of dry eye syndrome? Diseases that restrict your ability to produce tears, like collagen vascular disease or rheumatoid arthritis. Medications, including certain antidepressants, antihistamines, birth control, decongestants, blood pressure medications and hormone replacement therapy. What are the risk factors for developing dry eyes? Women and people over the age of 50 at a higher risk of developing the condition. Those who wear contact lenses or eat a diet that is lacking in vitamin A are also at a higher risk. What are some prevention measures or natural remedies for dry eye syndrome? Take consistent breaks from staring at TV or computer screens. Rub your eyes and constantly blink at frequent intervals. Create a hydrated environment with a humidifier. Moisturize your eyes with ointments and teardrops. Avoid smoky or arid environments. Consume a diet that is high in Vitamin A and Omega-3 vitamins. Antibiotics to deal with eye bacteria. Corticosteroid medications in the form of eye drops or ointments. LipiFlow, a quick surgery for those with Meibomian gland disease. Dietary supplements, especially ones that are high in Omega-3 or Vitamin A. 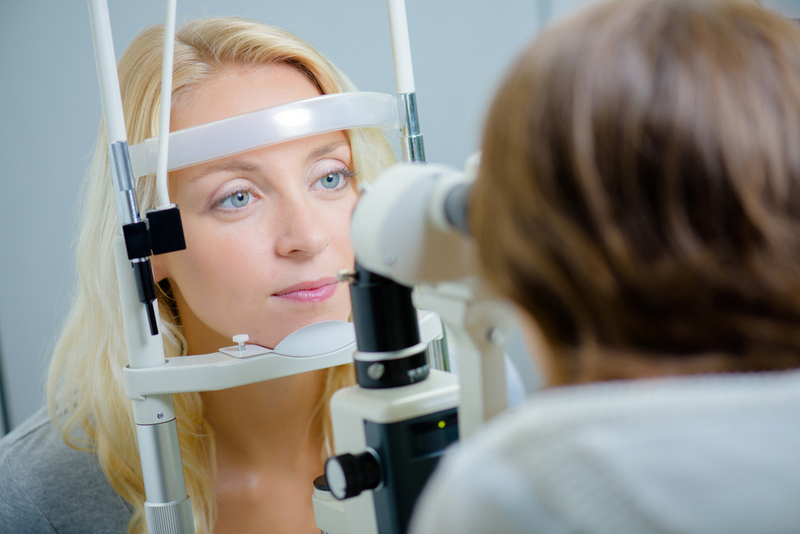 How can I seek an optometrist in Richardson, TX? Richardson Eye Associates is an optometrist clinic that specializes in providing treatment for a chronic dry eye. Contact us at (972) 231-3439 to discuss treatment options for this condition.